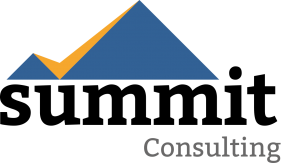 Why Hire Summit Consulting? Why Hire Summit Consulting? Too often, organizations underestimate the importance of managing the change process. We help our clients navigate the challenging environment of change and build a plan to ensure the intended business results of their change initiatives are realized. 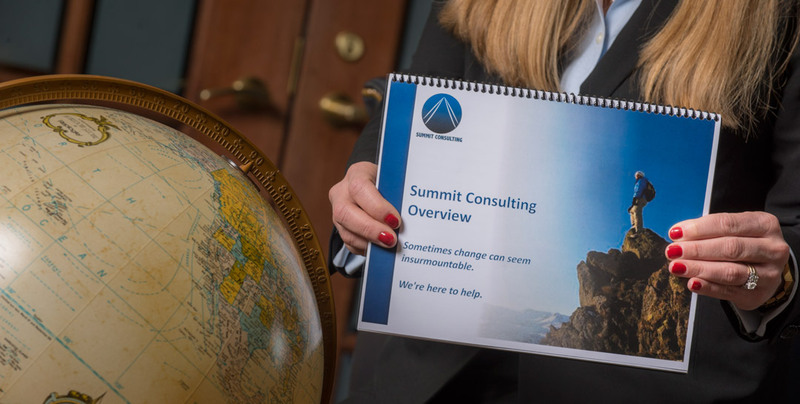 The team at Summit Consulting will be your change partners. We are experts in change bringing hundreds of years of collective experience in successfully leading and implementing large scale change initiatives. We will help guide you on your change journey but realize that your people know your business best. We are true partners in change who will collaborate with all levels of your organization to help you confidently make change decisions and ensure change is successfully implemented. We can quickly assess your business, how you operate, your culture, and your people to help you develop the customized change strategy that is going to be most effective for your organization. With an eye on the end state, your intended business results, Summit designs and implement plans that ensures your goals are realized. We build a comprehensive strategy to make sure you are standing on the peak after your climb. Through the development of detailed change management plans, including the tools and change processes to get you there, you will not only meet your goals, but exceed them. Our competitive pricing offers senior level resources at the rates you would pay for entry level resources at a larger consulting firm. We will meet you where you are and be your true partners in change. Contact us today to find out how we can help you summit your next change. Summit Consulting LLC is a women-owned and operated professional services firm.